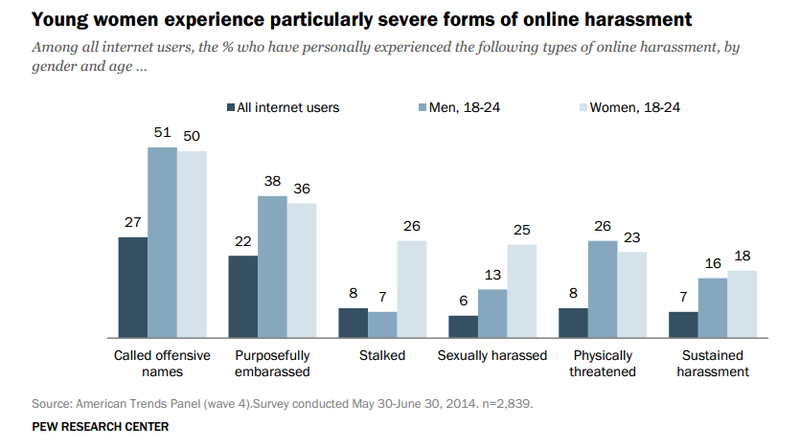 Pew survey of Online Harrassment shows women are tormented more often, and severely, than men. For Women, The Internet Can Be a Scary Place at New Republic. Download a pdf of Pew’s Online Harrassment survey here. This entry was posted in Digital, Journalism schools, Research and tagged Online Harrassment, Pew, Pew Online Harrassment Survey.